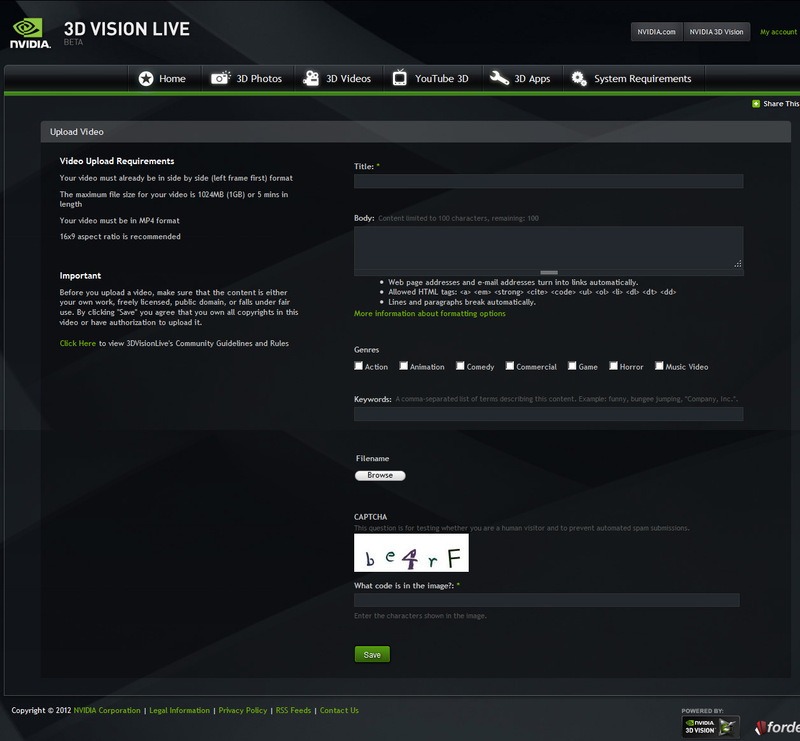 Nvidia has added the new functionality to upload not only user made stereo 3D photos, but also user made 3D videos in the 3DVisionLive community without needing to have your own channel or having your videos pre-approved by Nvidia. There are of course some rules you will need to comply with when uploading your videos, so check them out here, and you can upload videos with a maximum size of 1024MB (1GB) or 5 minutes in length. They need to be in MP4 file format. Have in mind though that there are separate registrations required for uploading 3D photos and 3D videos on the 3DVisionLive, so you may have to make a new registration if you were only uploading 3D photos so far. 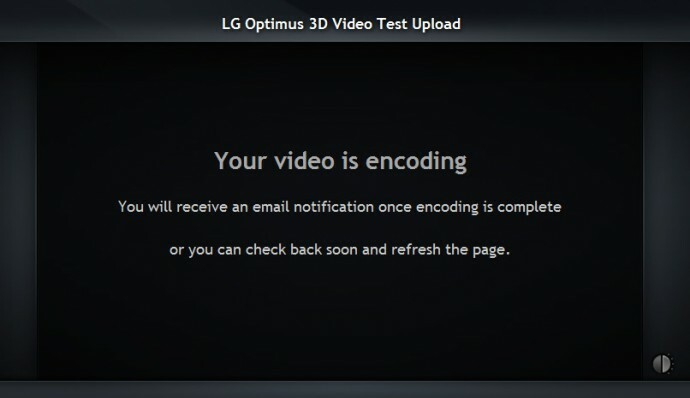 I did a quick test uploading a short 3D Video shot with the LG Optimus 3D smartphone – 720p Side by Side with half horizontal resolution and it was ready and available, although it seems I’m having some trouble playing it. The user uploaded videos use a different player than the standard 3D videos already available, and currently I seem to be getting only black screen with it, while the other 3D videos are playing just fine. The player does have an option to play the video in Anaglyph, Side by Side or 3D Vision mode, so you may be able to watch videos even on 3D HDTV or a normal PC without 3D Vision on it. And if you don’t like the end result after the video is available online you have the option to delete it, so go ahead and try uploading your 3D videos now. – Go to 3DVisionLive to try out the new stereo 3D video uploading feature…. Nvidia has chosen what is the best 3D video of 2011 from the clips published on their 3DVisionLive.com portal the one they’ve considered to be the most ambitious, compelling, and technically excellent. That video is Peter H. Chang’s Deus Ex Homine that is an impressive compilation of motion-controlled stereo 3D time-lapse photography taken in the San Francisco area, a video that was also featured here on the blog back in October last year. So if you have missed seeing it back then, then you should take a look at it now as it is indeed impressive and looks really well in stereo 3D mode. You may also want to take a look at the gallery containing the best 12 stereoscopic 3D photos that Nvidia has chosen from the thousands of 3D photos uploaded by users in 2011 in their stereoscopic 3D community website. You can watch the short 3D trailer for an upcoming 3D movie called “Over the Sky” from Cesar Sommer, whose nice work in 3D format has already been featured here a few times. 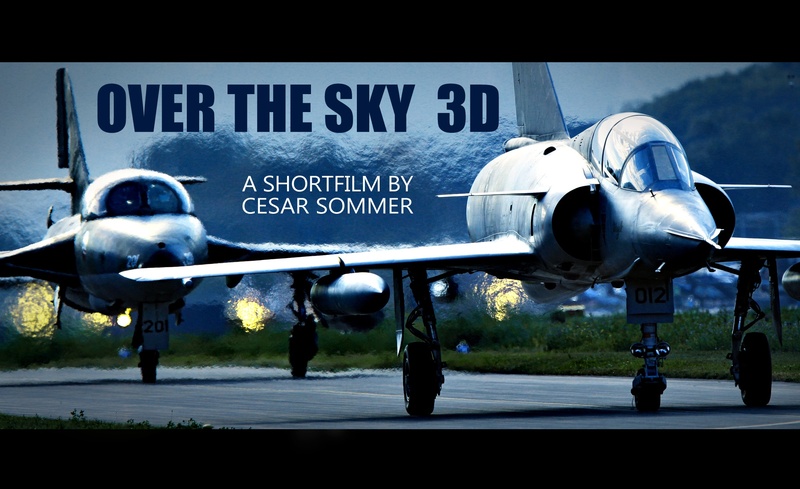 You can also find the 3D trailer of “Over the Sky” in his 3DVisionLive channel for 3D Vision owners, where you can also find some other of his works. The short movie was shot in collaboration with Clin d’Ailes, and although the final production release date is not set yet, it should be around February or March next year. Cesar was kind enough to also share some details on the production of the movie, apart from the fact that he had some fun while shooting it as you can see from his impression on this photo. Most of the video was shot with the Sony HXR-NX3D1 3D camcorder, although for some scenes he also used the Canon 5D mark II stereo 3D rig he has built, although according to Cesar it was almost impossible to film the quick flying jets with it. 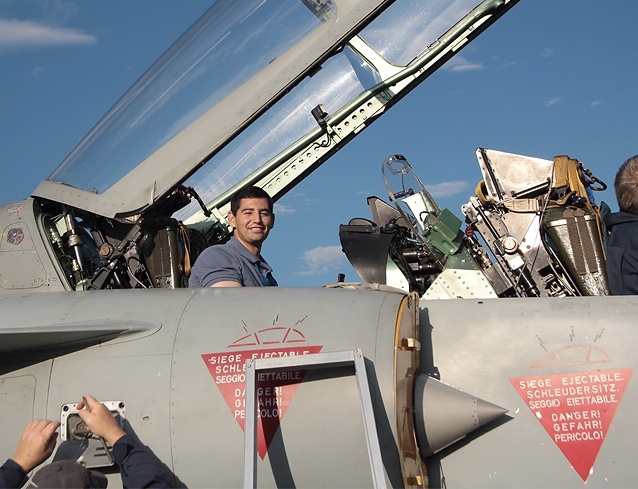 The final movie might also have some in-cockpit 3D footage from the planes, but that is not yet finalized as shooting from the cockpit of a flying plane in 3D is something that needs to be carefully planed and executed. The production pipeline consisted of a few steps with the first one being the use of the MVC to AVI Converter software form Peter Wimmer to split the .MTS 3D video file from the Sony camcorder into left and right AVI streams. 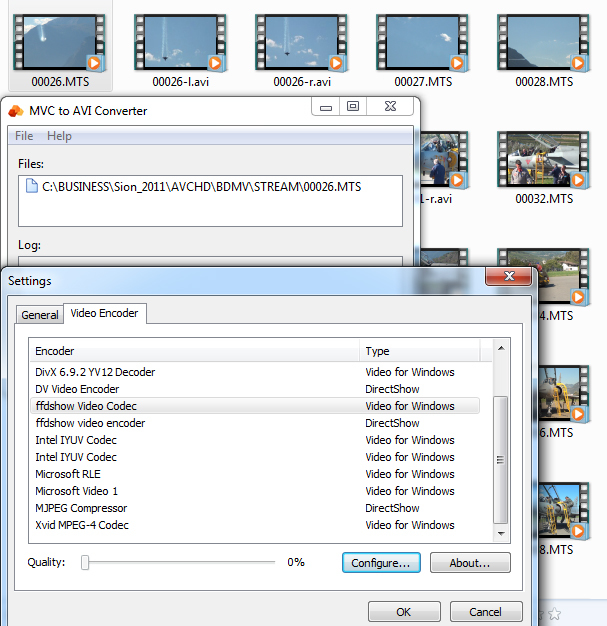 The videos produced from the Canon-based stereo 3D rig are already in separate files for the left and for the right eye.